Eleni Tsakopoulos Kounalakis ’85 is a child of the American Dream. Born in Sacramento, CA, to a Greek immigrant father who rose from farmworker to prominent real estate developer, Eleni could become the next Lieutenant Governor of California. Eleni began her political career in 1992 working as a staffer for the California Democratic Party. After an election that resulted in two women joining the US Senate, she joined her family business, AKT Development, northern California’s largest land development company. She spent 18 years working her way up from project manager to president and continued to be actively involved with the Democratic party. In 2010, at age 43, Eleni became the first Greek-American woman in US history to be an Ambassador when President Barack Obama appointed her to Hungary. She worked closely with President Obama and Secretary of State Hillary Clinton in promoting democracy, and shares anecdotes from this time in her book Madam Ambassador: Three Years of Diplomacy, Dinner Parties and Democracy in Budapest (The New Press, 2015). A graduate of Dartmouth, Eleni earned her MBA from the Haas School of Business at the University of California at Berkeley. She also holds an Honorary Doctorate of Laws from the American College of Greece. She lives in San Francisco with her husband, journalist Markos Kounalakis, and their two sons Neo and Eon. Eleni’s endorsements run deep, including that of President Barack Obama, NOW California, Equality California, Moms Demand Action, NARAL Pro-Choice California, the California Federation of Teachers, and the League of Conservation Voters alongside numerous federal, local, and state politicians, community leaders, and human rights organizations. If elected, Eleni would become California’s first female lieutenant governor. Running on a platform that places economic growth, affordable education, universal healthcare, environmental protection, and immigration at the forefront, Eleni has ambition that could keep California on the world stage. We wish her luck on November 6! We congratulate Marco Rosso ’11 on his recent appointment as Regional Sales Director for Spain for SiteMinder. If you’ve stayed at a hotel in the past five years, chances are you’ve been impacted by this global hotel management software. The company’s reach expands to over 160 countries and spans everything from family-run B&Bs to multinational hotel conglomerates. While still in high school, Marco earned a Diploma in Hospitality and Revenue Management from Cornell University. He completed a B.Sc. in International Business and Hospitality from École hôtelière de Lausanne, with a specialization in Digital Marketing, in 2015. While at university he worked a variety of jobs in the industry, including spending six months at Villa Principe Leopoldo, coordinating events at Radiotelevisione Svizzera, and working on ticketing with the Alessandro Rosso Group—focusing on the Milan Expo 2015. Marco, who is from a long line of hoteliers, continued his career at Triptease in London, where he focused on the Spanish, Portuguese, Italian, and other EMEA markets, culminating in a role as Head of Strategic Accounts EMEA before joining SiteMinder. 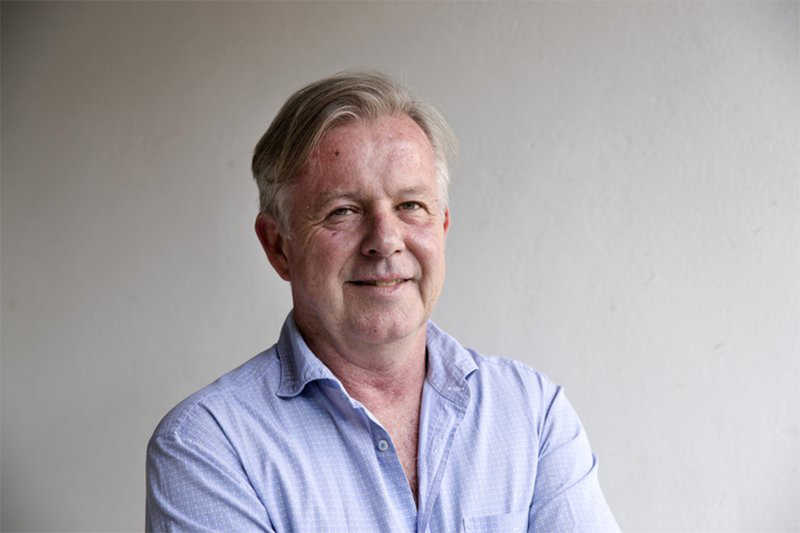 In early September the Associated Press named Patrick Quinn TH’81 deputy news director in Asia. He will be based in Bangkok, the agency’s Asia-Pacific headquarters, and will be responsible for AP’s video, text, and photo resources across 20 bureaus in the region, from India to Japan, the Koreas to Australia, New Zealand, and the Pacific Islands. Patrick has spent many years leading coverage from North Africa to Pakistan and was most recently the AP’s Middle East planning director. He was the agency’s first all-format news editor in the Middle East, pioneering how to coordinate video, photography, and text into the multimedia, multi-dimensional reporting we see today. Prior to this, Patrick was based in Kabul as news director for Afghanistan and Pakistan and has also worked in Cairo and, of course, Athens. Another fun connection to TASIS: for many years, Patrick lived in Cairo and is friendly with Barry Iverson ’74, who addressed TASIS students back in the fall of 2015. Patrick was Barry’s children’s tennis coach. The world is very small indeed—and is even smaller at TASIS! Though he’s not technically a TASIS alumnus, we like to think that Master Architect David Mayernik has earned honorary alum status for the massive contributions he’s made to the TASIS campus over the past two decades. 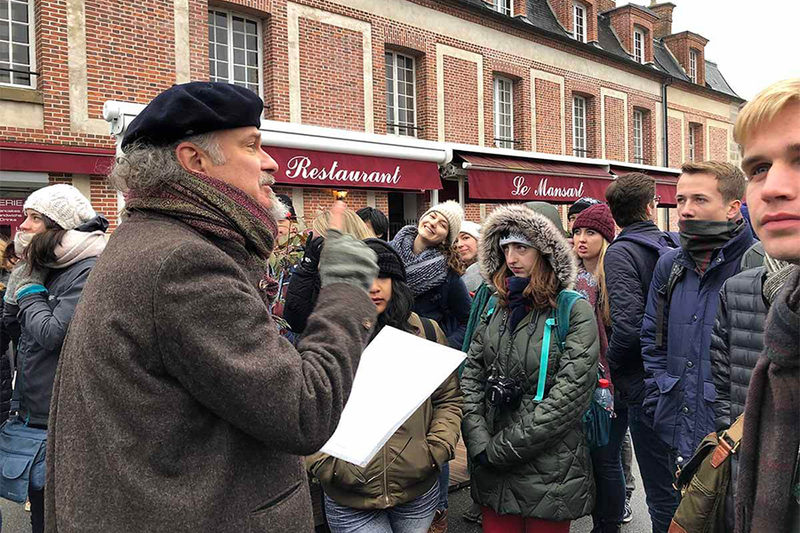 David, who is currently serving as an Associate Professor in the School of Architecture at the University of Notre Dame Rome Program while continuing to practice as an architect and artist, was recently in the news for his contributions to the Oxford Handbook of the Baroque, set to be released at the end of 2018. He has been invited to write an entire chapter for the Handbook series, which aims to address a wide range of topics with contributions that both incorporate recent scholarship and offer critical analysis of each author’s own work. When asked what city most inspired the written work he contributed to the Oxford Handbook of the Baroque, David responded, “In the chapter, everything emanates from Rome, of course!” To learn more, visit the Nanovic Institute for European Studies website. Every year in early September, the TASIS community gathers to celebrate the life of our founder, Mrs. Fleming. Students, faculty, and staff gather in the Palestra for a special assembly to help share the story of this remarkable woman and her legacy. Students also take part in Class Hikes to commemorate Mrs. Fleming’s love of the great outdoors. Alumni all around the world also take time to celebrate Mrs. Fleming’s birthday, and many share their stories with us. This year we received a lovely story from Vicky Thompson Tillotson SH ’56. 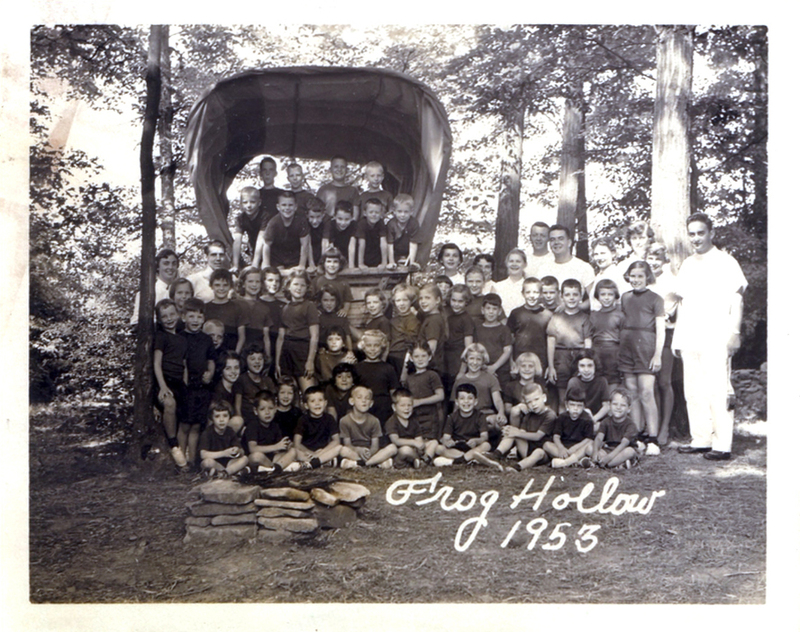 My story with Mrs. Fleming, Lynn, Gai, and Tom started in 1949 at Frog Hollow summer camp upstairs in the screened-in sleeping porch in the main house. Over the years I moved out to the older girls' cottage where we perfected our Australian Crawl (freestyle) in the huge pool and went on hikes in cow pastures behind the boys’ cabins on Hobo Day (I kid you not), walking with sticks with our sandwich lunches wrapped in red bandanas over our shoulders. Then there was Backwards Day where we had lunch for breakfast, dinner for lunch, and breakfast at dinner. I think we also put on our little green shirts and shorts (from Lord & Taylor) either inside out or backwards or both. And then there was Counselors' Day when some of the campers traded places with a counselor to teach whatever that particular counselor’s specialty was...swimming, tennis, arts & crafts, etc. Naturally I followed Mrs. Fleming and many campers on her first Swiss Holiday in 1955 to a chalet in the mountains above Lake Geneva. Several times a week we would descend en masse to the beach at Vevey, east of Montreux, and spend the day swimming or paddleboating and buying pommes frites (before they were just called frites). I think this was all conducted in French so maybe we had French lessons back at the chalet. I bunked in the attic with Lynn who by then was my best summer friend. The next summer I went with Mrs. Fleming and Lynn and Tom on the SS Liberte sailing over ahead of the rest of the campers to prepare the villa, which was outside of Locarno on Lago Maggiore. The villa above its vineyard overlooking the lake was the most beautiful house I had ever seen (I had just turned 11) with huge hydrangea bushes in full bloom on either side of the front entrance. In each of the upstairs bedrooms was a hand-painted china forno to be filled with coal for heating in the winter months. We dined mostly on the outside stone terrace overlooking the lake. It was at the Villa Verbanella Alta where I first had raclette. Delicious. And where I heard my first Elvis 45 record (“You Ain’t Nothin' But a Hound Dog") brought to us by George Clark, another camper from Frog Hollow days. So, on Mrs. Fleming’s birthday this year, my husband and I spent the day in Bandol, France, on the plage Méditerranée . It is our 20th year of coming to Provence. Joyeux anniversaire et Salut a Mrs. Fleming, Lynn, and TASIS. In case you missed it: a story for Founder’s Day.